The special commemorative 100th issue of Hemming Classic Car published for January 2013 includes a featured article "The Black Beast" by Senior Editor Jim Donnelly with photography by Richard Lentinello. The article and acompanying slideshow have been posted on Hemmings.com . Update: Check out my highlights of last night's spectacular Rolling Stones concert in Brooklyn. The name of the car, Alco, communicates as much about its massive, deafening countenance as any photograph. 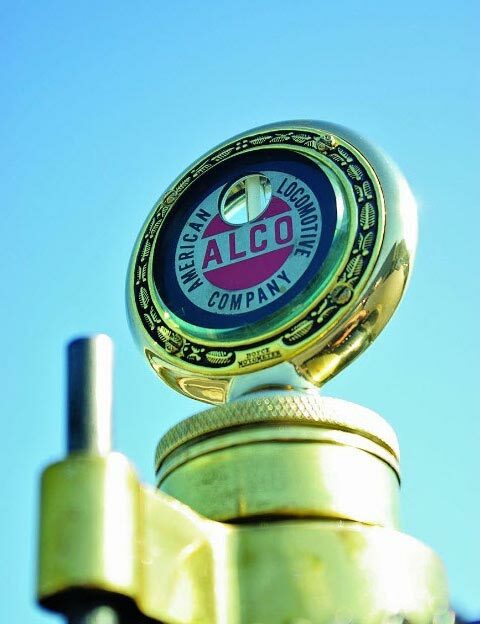 Alco is actually an acronym, standing for American Locomotive Company, and in 1908, it was the nation's second-largest producer of steam-powered railroad engines. As a company, Alco had only existed since 1901, when it emerged from the merger of eight smaller rail producers based from New Hampshire to Virginia. The new company was headquartered in Schenectady, New York, and later built fabulous-looking and awesomely powerful steamers ranging from the New York Central's Dreyfuss-streamlined Hudsons to the Union Pacific's massive 4-8-8-4 Big Boy freight steamers, built to flatten the mountain West. Its core products were fire-shaped from black iron and riveted into enormous existence, but Alco got technology, too. It was the first locomotive builder to adopt precision Timken bearings for its wheels and connecting rods. There's a strong case to be made that that's what drove Alco from the rails to the new world of road vehicles. In 1906, Alco began to build the French-designed Berliet under license at one of its former locomotive plants, located in Providence, Rhode Island. At the time, Berliet offered models up to a massive straight-six engine with 9.5 liters--it rounds out to 580 cubic inches. The Alco executives were convinced they could craft a car that was lighter, faster, more powerful and better-built than their French franchise promised. Alco only produced its own automobiles in Providence from 1909 to 1913. Despite its industry leadership in railroading, Alco pursued a business plan for building cars that all but ensured quick failure. In advertising material, it boasted that it took 19 months to build a single car, six months of which were consumed by machining and assembling the rear axle alone. Despite the fact that Alcos retailed from $6,000 to $7,500, the company lost around $500 on every car it produced. Likely in desperation, Alco contracted Crane (later, Crane-Simplex) of Bayonne, New Jersey, to gin up a new light-six model for half the price of its existing cars, but its automobile business still flamed out. But while it lasted, wow. Alco produced the most expensive cars in America, and some of its strongest performers. 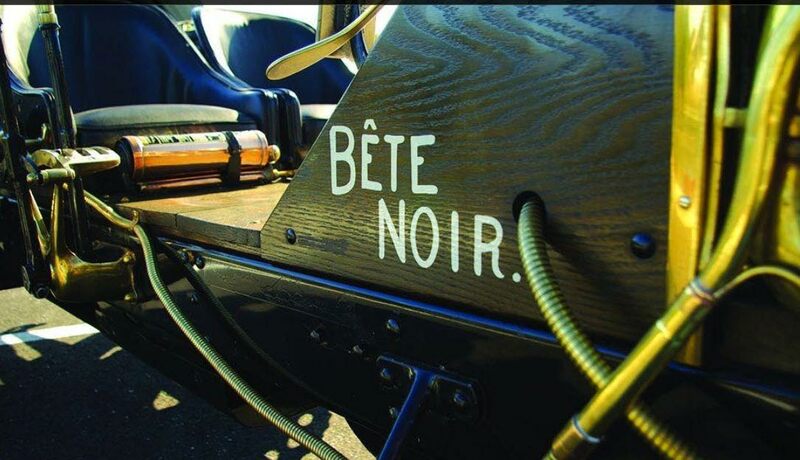 And then there was la Bete Noire. Or, as it more or less translates into English, the Black Beast. For all the effort and cost lavished on bodywork and appointments, Alco clearly thought that anything non-mechanical was a frivolity. So this 1909 Alco racing car, with one of the most illuminated histories of any survivor of its vintage, is simply the ultimate. It's a factory car that not only won the Vanderbilt Cup twice on Long Island, but also competed in the inaugural Indianapolis 500. 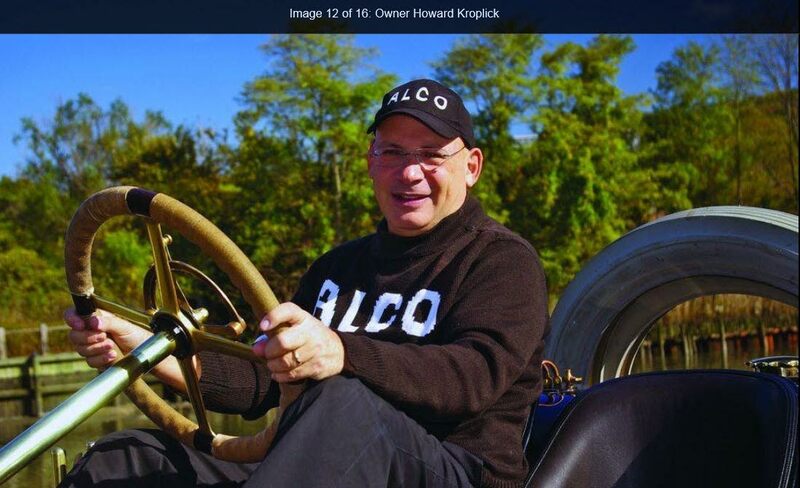 According to Indianapolis Motor Speedway historian Donald Davidson, the Alco and the winning Marmon Wasp are the only known surviving cars from the 1911 field. It figures. Alco built its cars like, well, locomotives. Everything about the Black Beast is big and brutal. Wheelbase: 134 inches. Curb weight: 3,306 pounds dry. 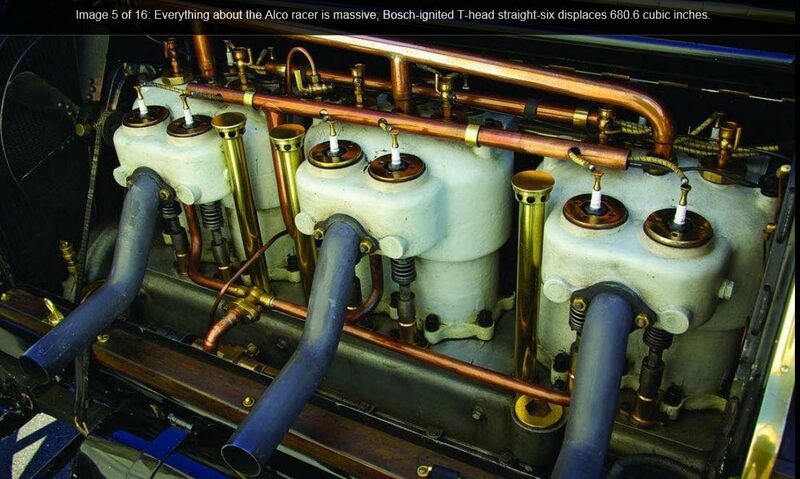 Engine: an Alco T-head straight-six displacing 11.16 liters, or 680.6 cubic inches. It's essentially an enlarged version of a production engine, fed through a Newcomb carburetor, fired by dual ignitions and a Bosch magneto. The stock 60hp now stands at 100, a fiery stutter echoing through sawed-off-shotgun exhaust pipes. Driveline: dual chains and a transaxle. Brakes: mechanical inboard expansion on the rear wheels only. Imagine trying to grip that massive wood steering wheel while pounding along the barely graded roads of the Long Island Motor Parkway during the Vanderbilt Cup, or slewing across Indy's fresh paving bricks. Before long, your hands would look as if you'd been high-sided off a Harley onto new macadam at 80 MPH without any gloves. Racers were brutal then, too. 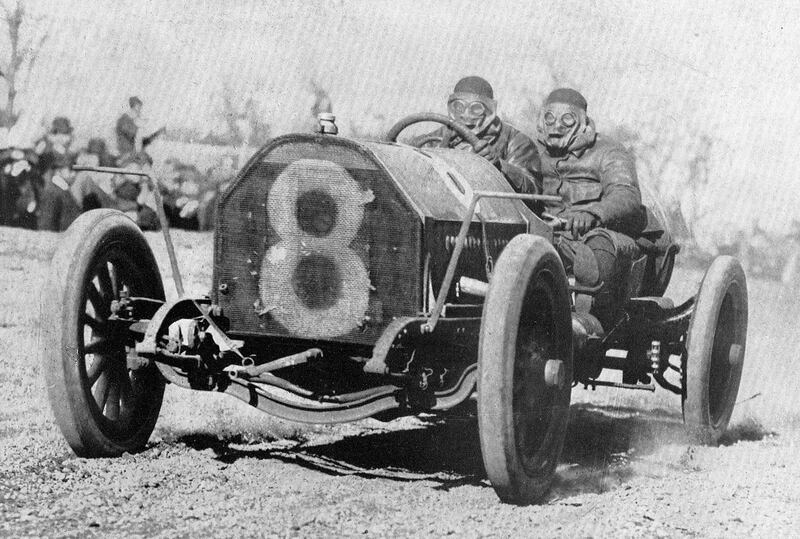 One of them, according to the late racing historian Griffith Borgeson, was Alco factory test driver Harry Fortune Grant. Borgeson's tale has Grant convincing the Alco board of directors to build the Black Beast, using a Providence-fabricated Berliet chassis combined with the T-head 580 engine, which squeaked in under the 600-cu.in. limit for the Vanderbilt Cup. 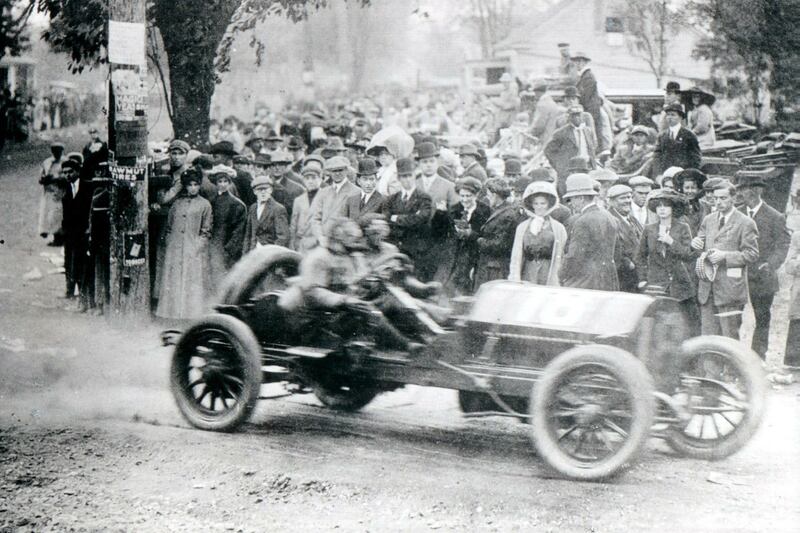 The race, founded by heir and sportsman William K. Vanderbilt Jr. (see "Pioneers," page 78), dated to 1904 and ran on portions of the Motor Parkway, the first semi-improved rural roads on Long Island. After a few New England outings and a DNF at Fairmount Park in Philadelphia, Grant and "mechanician" Frank Lee bested the 1909 Vanderbilt field over a 278-mile distance. 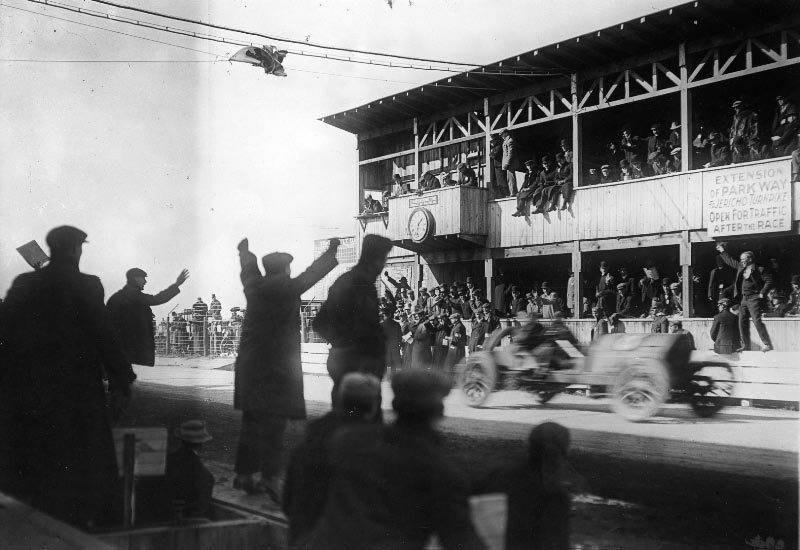 The following year, they did it again, beating entrants who included Louis Chevrolet and Ray Harroun, who would win the first 500 in 1911. The course turned into a charnel house, however, as runaway cars killed two mechanicians and injured 20 spectators, calamities that ended open-road racing on Long Island for good. In 1911, Grant--now a prominent star in American road racing by dint of his back-to-back Vanderbilt triumphs--arrived at the Brickyard with the Black Beast. He finished 33rd among 40 starters when a crankshaft bearing cooked at 51 laps. Alco was happy enough at his exploits to present him with the Black Beast, whereupon Grant retired from driving. 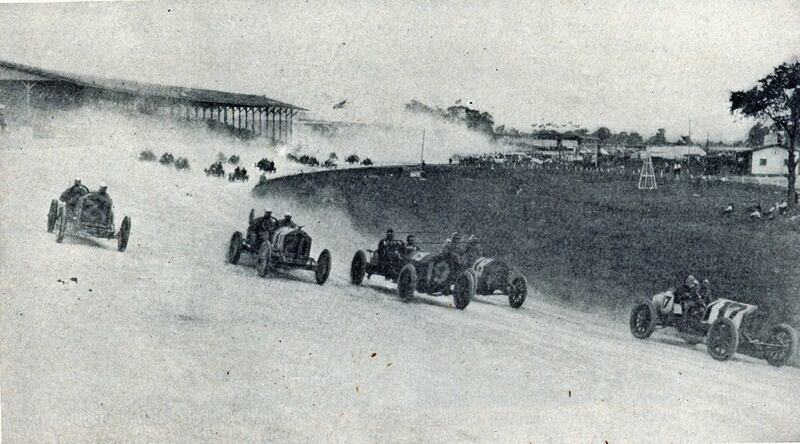 Only he couldn't stay that way: Grant returned to Indy in 1913 and 1914 (with Isotta-Fraschini and Sunbeam), then showed up for the 1915 Astor Cup at the new Sheepshead Bay, Brooklyn, board speedway. His Maxwell exploded in flames during a practice run and the beefy Grant was unable to extricate himself from behind the steering wheel. He died after 10 agonizing days, an early casualty of the bloody board era. The Black Beast passed between a variety of owners through 1968, when historian and collector Joel Finn found it, a rusted wreck, inside an Ohio barn. Finn totally restored the car before selling it to the Harrah collection in 1975. From there, the Alco went to England in 1988, then to France and another restoration, mainly for vintage racing, in 1994. It was in a Brussels showroom when its current owner, Vanderbilt Cup historian Howard Kroplick (www.vanderbiltcupraces.com) of East Hills, New York, tracked it down in 2008. "Joel had invited me up to his house and told me he owned the Alco Black Beast at one point, but he had lost track of it, as well," Howard told us. "I was looking for a car of that era. I had bid on two other cars from the era and came in second on both of them. Then I found the Black Beast for sale in Brussels at a vintage car dealer called Vanderveken Bruxelles. The negotiations were all done by email. Then I went over to Belgium and saw the car in his showroom. I knew it was coming back with me." 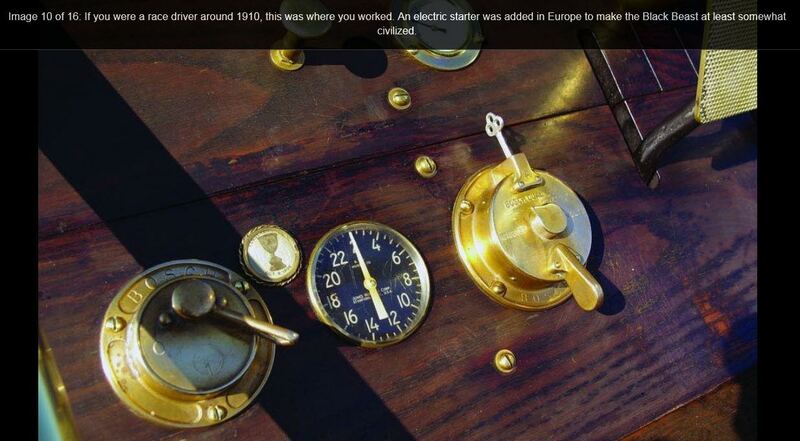 Howard never bothered asking if the engine would start before he shipped the car to New York. A lot of incorrect European parts were on the car, apparently because the last owner had vintage raced the Black Beast on the Continent. 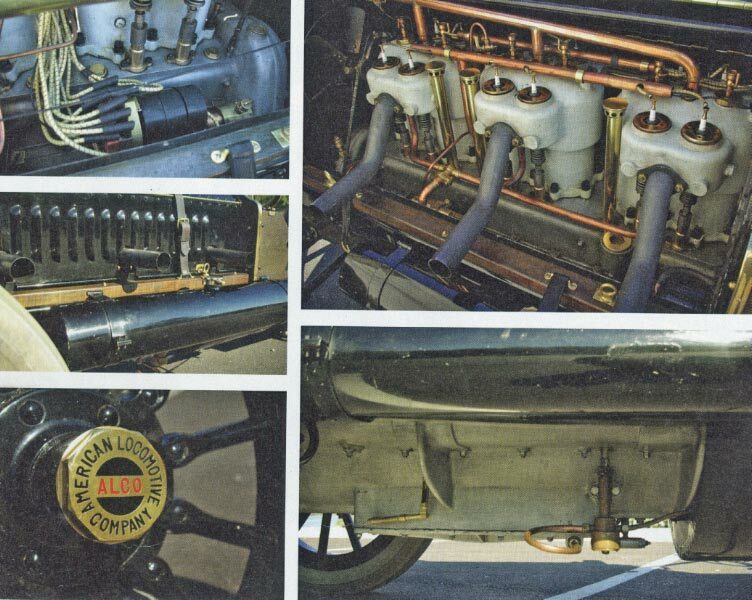 Once Stateside, the Euro pieces were pulled off to restore the Alco's 1909-'11 appearance, other than the modified Bendix brakes and master cylinder. It also retains the six-volt battery and Bosch electric starter, also added in Europe. For reliability's sake, Howard's changes included fitment of a larger-capacity water pump and temperature gauge. The newer-spec tires it had in Europe were removed, replaced by period-correct white rubber tires from Universal. Despite its gigantic torque, the engine is happy with 87-octane unleaded gasoline. 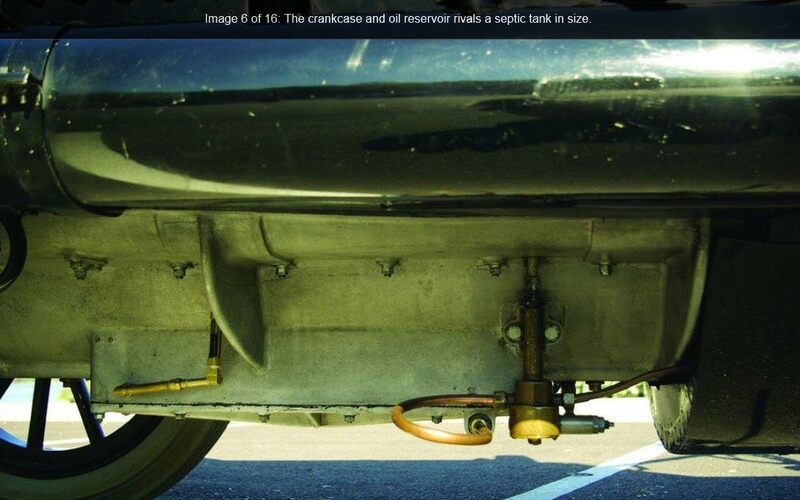 The crankcase sump takes nine quarts of straight 40- or 50-weight oil. Howard has returned the Black Beast to its competition roots after a century. He's been known to happily blast it around the neighborhood, flames belching from the open pipes at maximum decibels, a few times a year, not far from the Motor Parkway. The car has since returned to Indianapolis, too. In 2011, two-time Indy 500 winner and former world champion Emerson Fittipaldi drove it in a parade of former participants before the centennial running of the race. Howard was invited back in 2012, and this time, got to lap the hallowed oval himself. "The car actually gets smoother as you go faster. Trying to steer at 5 MPH is much harder than doing it on the track," he continued. "We'd never had the car up to that speed before, so there was some concern about how things, like the wooden wheels, would hold up. But amazingly, it did extremely well. The first person to congratulate us on the run was Mario Andretti. "It's extremely noisy, almost like a small plane. Little kids always have their hands over their ears. I did eight laps at the speedway, 20 miles, and it was physically exhausting just from focusing and gripping the steering wheel. I have a great admiration for the people who did this in 1911. They were incredibly brave." This article originally appeared in the January, 2013 issue of Hemmings Classic Car. A wonderful story, well told. Congratulations, Howard! Janet, thanks so much for the comment!! What a history. Almost dumb luck that it still survives after what it went through. Alco built some amazing steam locomotives (and diesel too), and I’m a huge fan of the Big Boy steam engines, but unlike them, the Beast still runs!